For Ralph Bloom, director and curator of the Lockwood House Museum and Norwalk (Connecticut) Museum for thirty years, the decision to include Historic New England in his estate plans sprang from his lifelong love of architecture, collecting, and Connecticut history. Ralph has taken a strong interest in restoration and preservation work at Roseland Cottage, a Historic New England property in Woodstock, Connecticut. He has enjoyed visits to this Gothic Revival house and contributed funds to the restoration of the property’s Lincrusta Walton wall covering. In 2007 Ralph participated in Historic New England’s week-long Program in New England Studies. He was so impressed by the quality of the lectures and behind-the-scenes tours that he has donated an annual scholarship for a participant in the program. 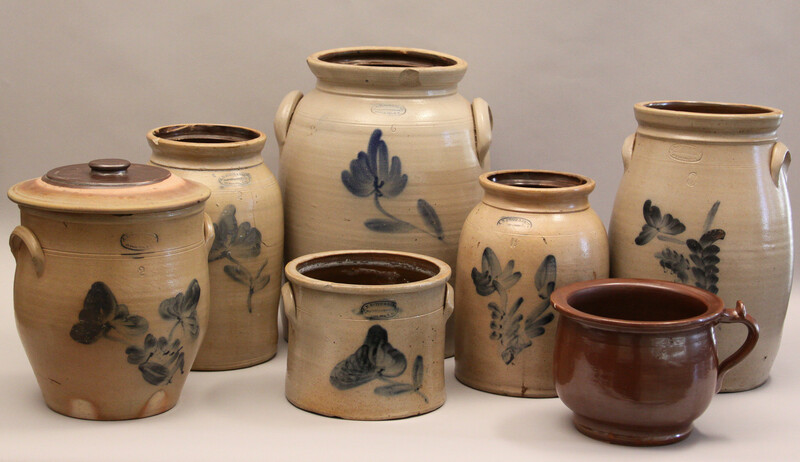 As part of this plan, Ralph recently made a gift of mid-nineteenth-century Norwalk stoneware to Historic New England, which has been gratefully added to our collections. Roseland Cottage came to Historic New England with no endowment, which motivated Ralph’s generous decision to include a bequest to Historic New England in his will. His gift toward an endowment for Roseland Cottage will help keep this gem sparkling always.